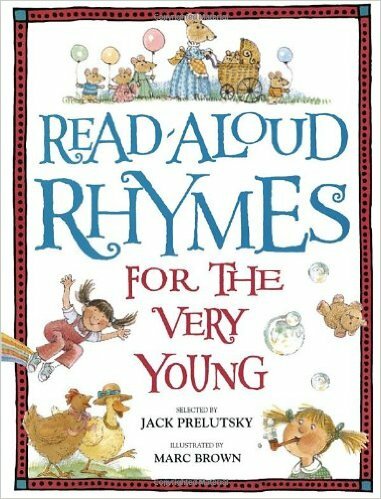 The Week of the Young Child™ (April 10-16) is an annual celebration sponsored by the National Association for the Education of Young Children (NAEYC) celebrating early learning, young children, their teachers and families. This seems like the perfect time to highlight poems that celebrate childhood and outdoor play. Let's start with an old classic. Jumping rope is always fun. 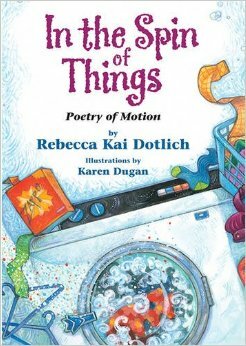 Here are two poems by Rebecca Kai Dotlich. Poem © Rebecca Kai Dotlich, 2003. All rights reserved. 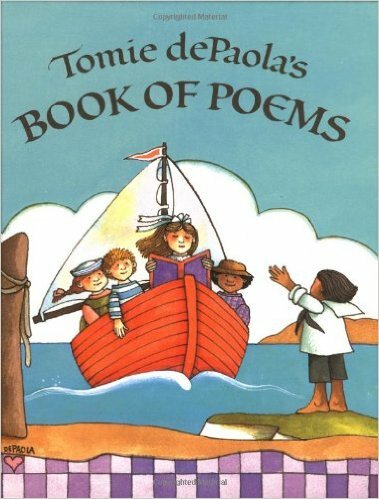 Poem © Rebecca Kai Dotlich, 1998. All rights reserved. 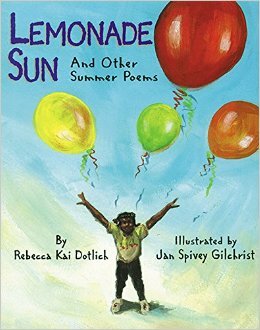 Let's stick with Lemonade Sun for a moment and think about jacks and marbles! 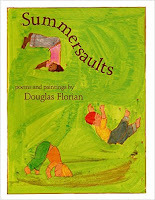 Summersaults, written and illustrated by Douglas Florian, is one in a series of 4 books about the seasons. This collection highlights the delights of summer. The sidewalk isn't just for walking. 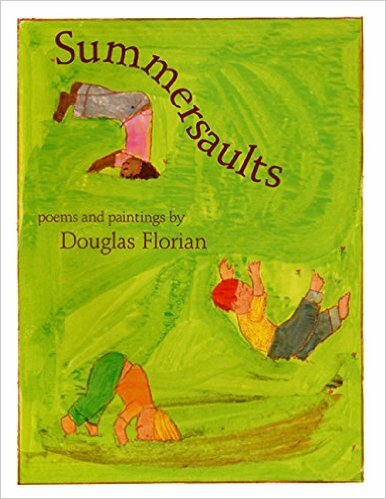 Poem © Douglas Florian, 2002. All rights reserved. 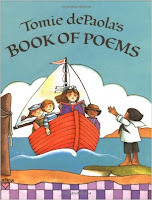 Tomie dePaola's Book of Poems, selected and illustrated by Tomie dePaola, contains a wide variety of poems for young children. Here's a favorite another form or outdoor play. Over the pavement and round the block. Felicia and I and half our friends. Our hair flies backward. It's whish and whirr! Poem © Phyllis McGinley. All rights reserved. 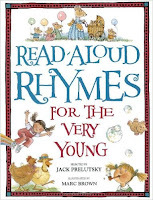 Read-Aloud Rhymes for the Very Young (1986), selected by Jack Prelutsky and illustrated by Marc Brown, contains more than 200 poems for young children. Poem © Myra Cohn Livingston. All rights reserved. 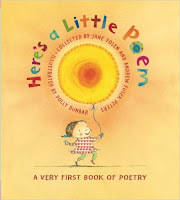 I'm going to wrap this entry up with a favorite from Here's a Little Poem: A Very First Book of Poetry, collected by Jane Yolen and Andrew Fusek Peters and illustrated by Polly Dunbar. Its shadow round and blue. Poem © Dorothy Aldis. All rights reserved.